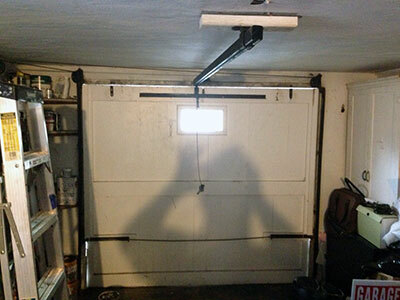 Blog | What Happens in Garage Door Maintenance? We have reliable repair solutions for the malfunctioning cables, tracks and rollers of your door. What Happens in Garage Door Maintenance? Garage doors, just like any major appliance, should have periodic preventive maintenance service. Tune-ups give professionals from garage door repair Oceanside the opportunity to inspect all moving garage door parts to ensure that the door is not just safe, but operational for the next years to come, minus the inconvenience and cost of unexpected repairs. It is best to have the door checked by a company that is committed to your safety. Most garage door maintenance services use a safety checklist. This includes checking the panels, springs, sensors, the hardware, the track, and more. Since major parts are under extreme tension, homeowners prefer to have their doors professionally checked. Tune-up includes a general diagnostic service to inspect sections of the door, the counterbalance system, the rollers, hinges and external weather seal. Additionally, all the screws and bolts are tightened, the springs, rollers and hinges are lubricated. If the door is not balanced, it is rebalanced by adjusting the spring tension. Maintenance may also include adjusting the garage door opener chain and sprocket, aligning electronic eyes and checking force pressure down. Servicing the opener is important, especially if you notice that it raises but does not close. Sensors should be aligned in such a scenario because they are sensitive. It might have been faulty or unplugged. If the remote or wall switches are not working properly, take this chance to have it checked as well. It might be caused by a dead battery or faulty antenna, but a garage door contractor would certainly know why. As they say, prevention is better than cure. This is also applicable to your automatic garage door. Get the best for your home and family by having your door checked by our professionals, who are committed to customer satisfaction. This way, you can prolong the life of your overhead door and take good care of your loved ones.